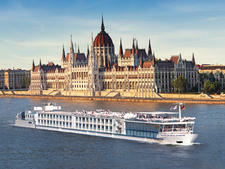 Travelmarvel specialises in premium cruising and touring with value-for-money pricing. Under the ownership of APT, the brand has grown significantly in the past 16 years and now operates tours and cruises in Europe, North America, Asia, New Zealand, Australia, South America and Africa. Travelmarvel's price structure, depending on the itinerary, can include sightseeing, meals and drinks, the services of a cruise director, excursions and entertainment, gratuities, transfers, internal flights, port charges and accommodation. Also included are a variety of Insider Experiences, where passengers can 'live like a local', gaining insights into a destination's customs and cultures. Experiences include everything from a private Oktoberfest celebration in Germany to lunch with a local family in Vietnam. Travelmarvel ships are comfortable and stylish. Furnished to a high standard, and with the outstanding service you would expect from an APT-owned river cruise operator, these vessels offer cruisers a premium cruising experience that delivers incredible value for money. Travelmarvel sailings offer comprehensive inclusions, cuisine is of a high standard, and included sightseeing options take you to all of the must-see areas, but what sets a Travelmarvel cruise apart is the fact that passengers have more freedom and flexibility to explore destinations in their own ways. Cruisers can either choose to add to their sightseeing schedules by heading out into destinations on their own or include extra tour options for an additional fee. Evenings onboard always feature some form of included entertainment. Usually with a local cultural or a musical theme, they are reflective of the areas being explored on the itinerary and also of the tastes of Travelmarvel's clientele. The majority of Travelmarvel's cruisers are from Australia and New Zealand. They enjoy the camaraderie of sharing their holiday experiences. Passengers tend to appreciate the balance of comprehensive inclusions and plenty of free time to explore at their own pace. In Europe, the company has five vessels: sister ships Travelmarvel Diamond and Travelmarvel Jewel, Travelmarvel Sapphire, Excellence Queen and Excellence Rhone. 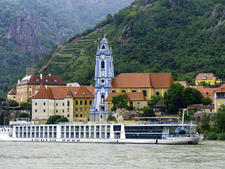 These river ships have all-weather balconies with floor-to-ceiling sliding doors. All staterooms and suites feature queen beds or twin-size beds, flat-screen TVs, individual climate control, spacious bathrooms, large wardrobes, personal safes and minibars. Other features include a fine dining restaurant, a hair and beauty salon, a sun deck with 360-degree views, a fitness centre, an observation deck, a spacious lounge and bar, and Internet access. 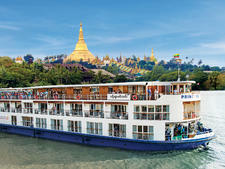 In Asia, Travelmarvel operates 92-passenger, five-star boutique ship La Marguerite on the Mekong River. In 2016, it will introduce its own ship, RV Princess Panhwar, in Myanmar. 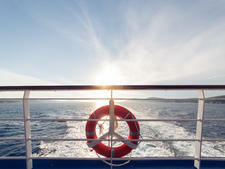 Travelmarvel also offers cruises aboard other vessels. 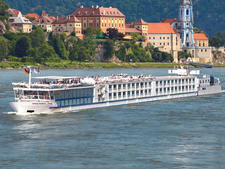 In 2015 and 2016, these include RV Rahmahal for river cruising on the lower Ganges in India, Victoria Cruises on China's Yangtze River, Coral Princess for Kimberley coastal cruising in Western Australia, Anakonda on the Amazon river in South America, Santa Cruz in the Galapagos Islands, American Queen on the Mississippi (USA), Holland America Line's Zaandam for Chilean fjords cruising, and Alaska and New England cruising, also with Holland America Line.